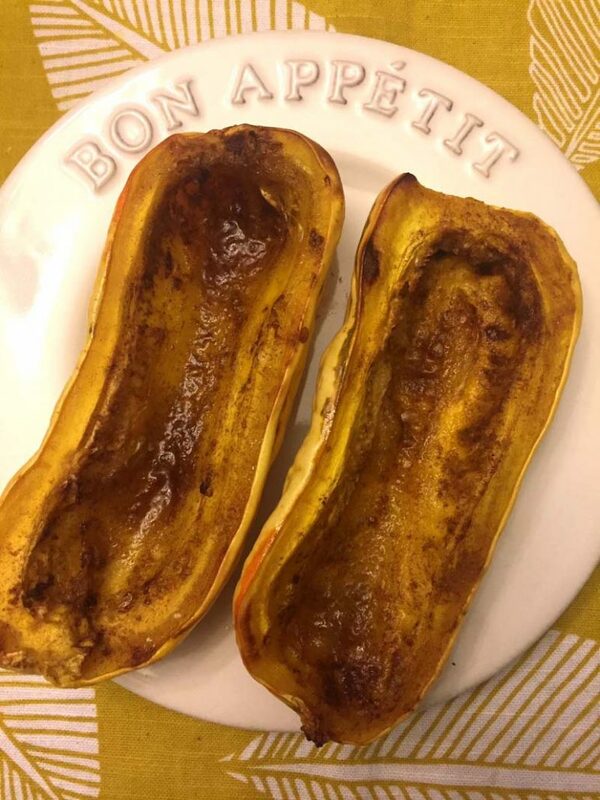 This roasted delicata squash is mouthwatering! So sweet and smooth! Brushed with maple syrup, sprinkled with cinnamon and roasted in the oven to perfection! Delicata squash is my favorite kind of squash. 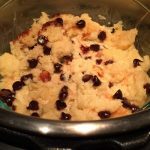 It’s naturally sweet and so delicious! Unlike some other squashes that can be stringy, the texture of delicata squash is always smooth and buttery soft. I always get excited when I see delicata squash at the supermarket. It’s not as common as acorn squash, butternut squash or spaghetti squash, so I can’t just count on it being there. 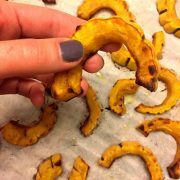 So when I come across delicata squash, I buy a bunch of them, as they are so easy to make and taste so good! What’s the most popular way to cook a vegetable? Roast it in the oven! Roasting brings out the best flavor out of vegetables, and delicata squash is not exception. 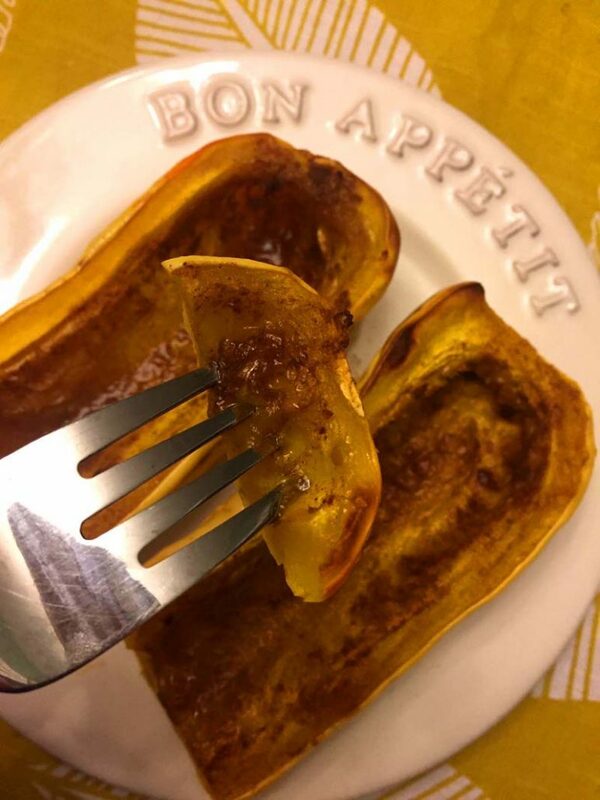 Delicata squash is already naturally sweet (sweeter than most squashes), and when it’s baked in the oven, its natural sugars caramelize, resulting in a deep sweet roasted flavor – amazing! Before roasting, this delicata squash is brushed with maple syrup and sprinkled with cinnamon. Maple syrup and cinnamon go with this squash so perfectly! Another great thing about delicata squash is that its skin is thin and edible. So don’t discard the skin, it has an extra load of vitamins and fiber! 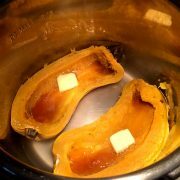 Cooking delicata squash in the oven is really easy. First, cut the squash in half lengthwise. A great thing about delicata squash is that it’s not too hard (unlike some other squashes and pumpkins), so cutting it should be pretty easy. 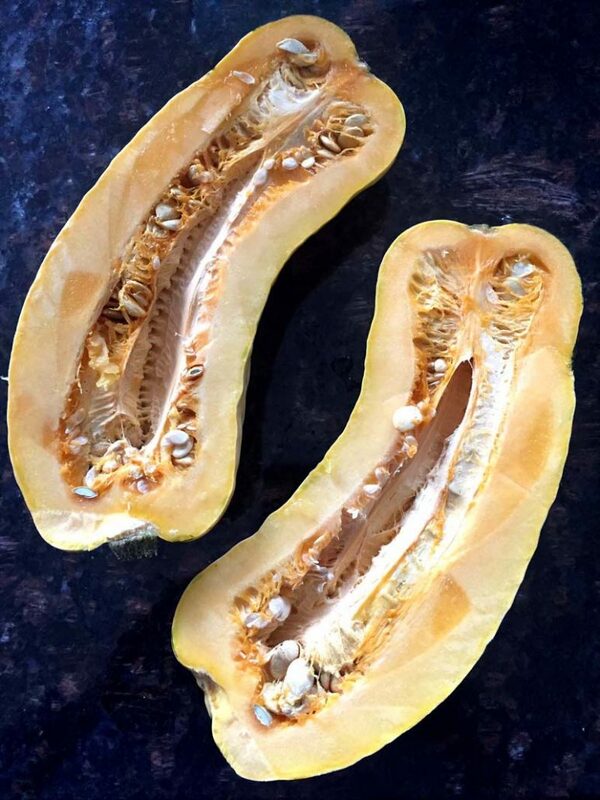 Then take a spoon and scoop out and discard the seeds. 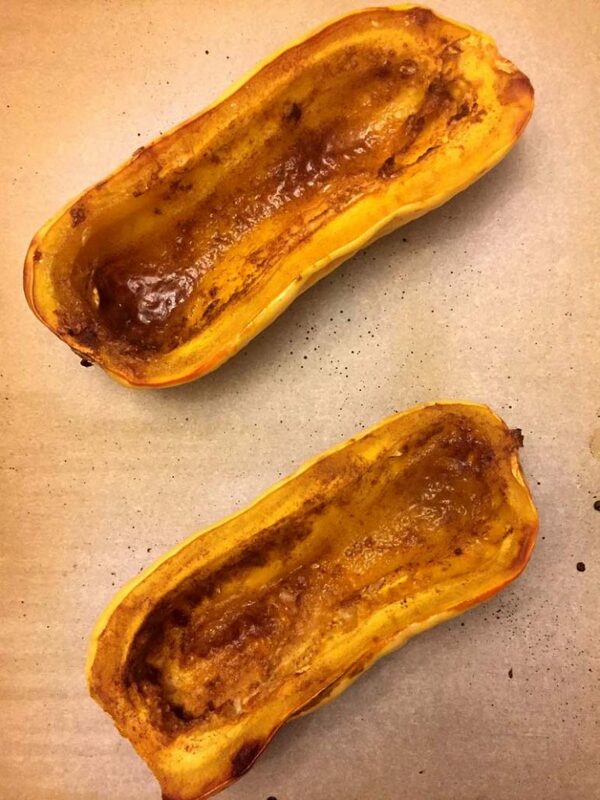 Brush delicata squash with maple syrup, sprinkle with cinnamon and bake in pre-heated 425F oven for 40 minutes. Enjoy! Whole Roasted Cauliflower – this beautiful golden-brown cauliflower can be a center of a holiday table as a vegan roast! Rainbow Roasted Vegetables – the whole vegetable platter is arranged by color on a baking sheet and roasted to perfection! Roasted Asparagus – so elegant, healthy and delicious, make this roasted asparagus as impressive side dish! Roasted Broccoli – even broccoli haters love this roasted broccoli! The roasting process truly bring the best flavor out of it! Roasted Brussels Sprouts – these cute tiny cabbages are cut in halves and roasted in the oven, you’ll love them! 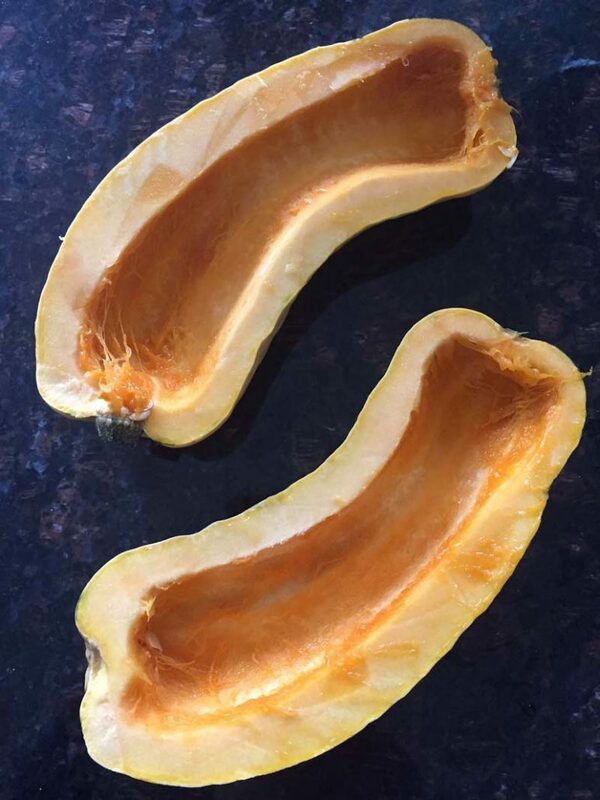 Did you know that you can use delicata squash to make homemade pumpkin puree? Yes, and it will taste even better than regular pumpkin puree. Then use it to make pumpkin pie, pumpkin cheesecake and pumpkin muffins! 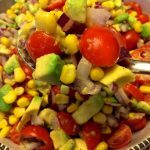 Looking for more squash recipes? 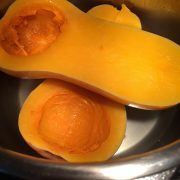 Click here for my squash recipes collection. 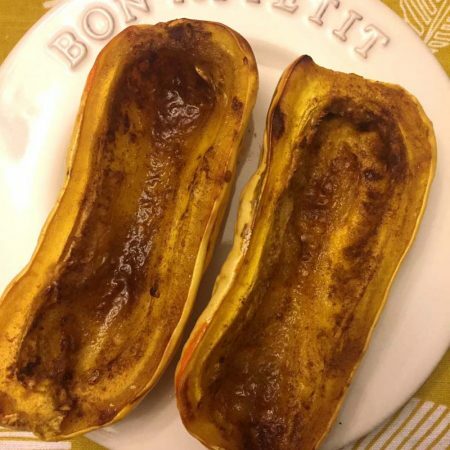 This roasted delicata squash is amazing! Brushed with maple syrup, sprinkled with cinnamon and roasted in the oven to perfection! Truly mouthwatering! Preheat oven to 425. Line a baking sheet with foil or parchment paper. Cut the delicata squash in half lengthwise, and scoop out and discard the seeds. 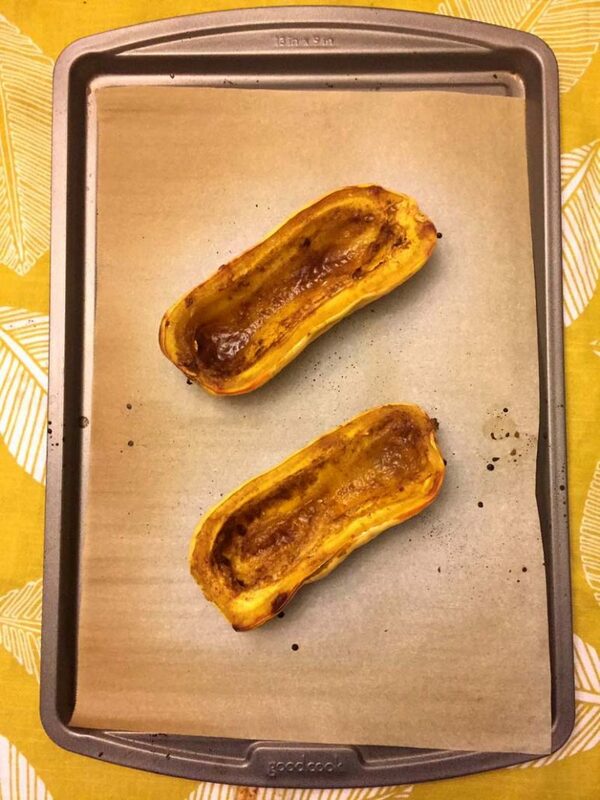 Put delicata squash halves on a baking sheet cut side up. 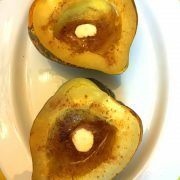 Brush delicata squash with maple syrup and sprinkle with cinnamon. 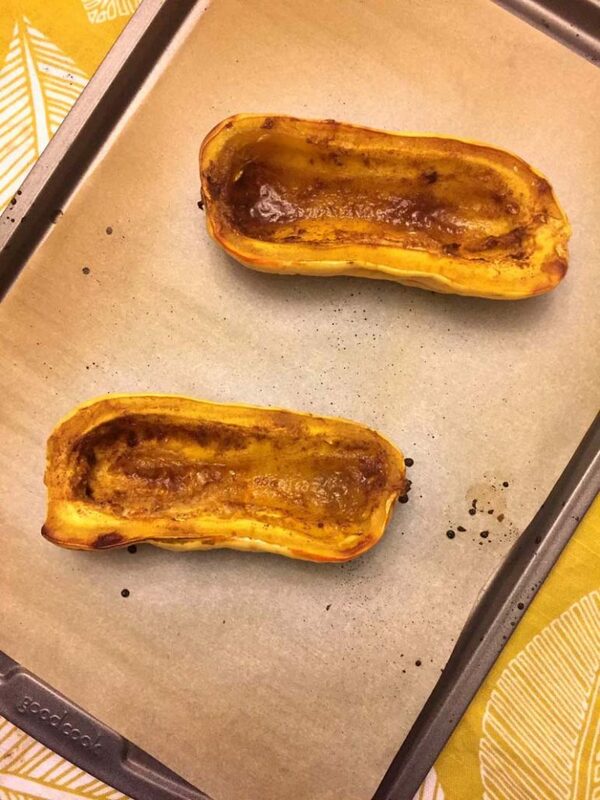 Put delicata squash in the oven and bake for 40 minutes.